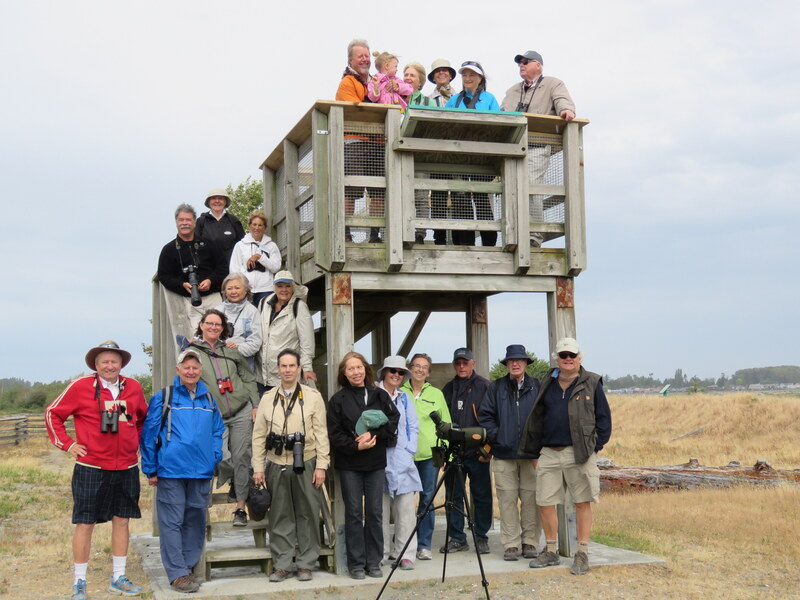 About 25 participants, including lots of Newbies, enjoyed our quarterly Birds on the Bay (BOTB) outing this morning in Boundary Bay Regional Park (BBRP). 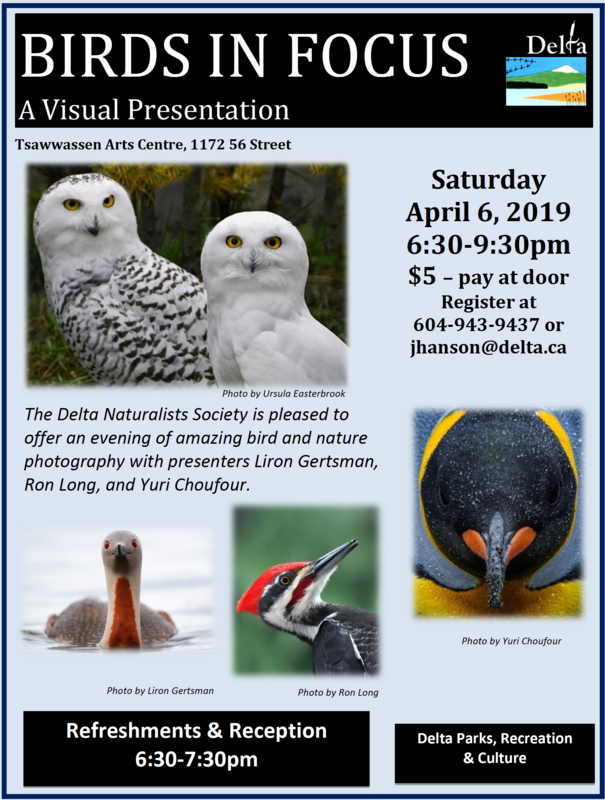 There are not a plethora of birds in BBRP in June, it being nesting time and wintering Shorebirds and Waterfowl have gone to their northern, inland or Arctic nesting grounds, but we had a few neat sightings. Check out the photo evidence by Jim (JK), Glen (GB), Maureen (MS) & Pat (PS) on our DNCB Picasa site. Before leaving on the Walk, and following introductions and distributing our 3 new pamphlets to the Newbies, Jim K decided to take the Group Photo on the historic Cammidge House (CH) steps. It was a bit windy and overcast and we neither heard nor saw much on our way to the Pond and Native Species Garden at Centennial Beach. A few tiny Mallard ducklings in the pond brought smiles to the DNCBers. 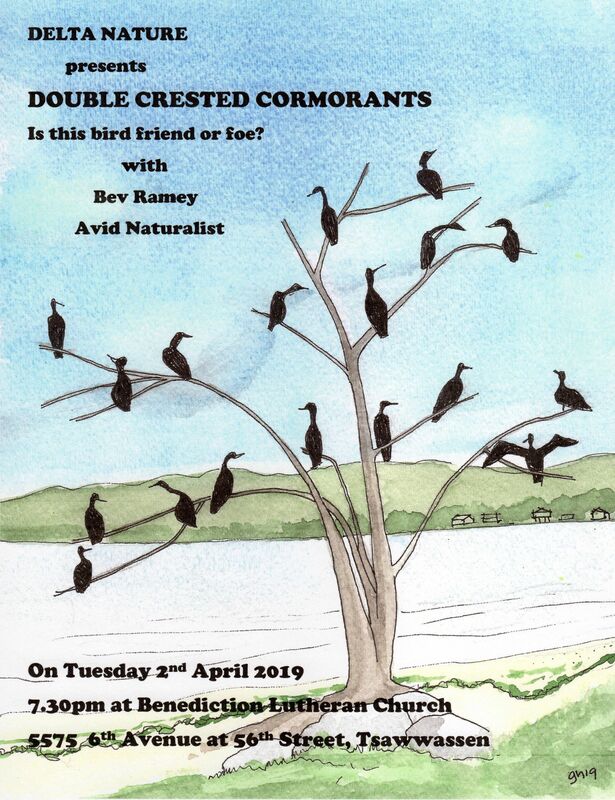 The tide was in but no Shorebirds seen or diving ducks in the Bay. Only Glaucous-winged Gulls and a Kite Surfer to entertain us. Mt Baker and the view across to the mountains is always a treat. Savannah and Song Sparrows, House Finches, Red-winged Blackbirds and several Northern Harriers, male and female, gliding by. A four-species aerial confrontation was kind of neat with harassments among a Bald Eagle, Northern Harrier, Northwestern Crow and a Red-winged Blackbird. We heard Marsh Wrens and Common Yellowthroats and some got photos of the latter masked warbler. At the Lookout we took another Group Photo including several time-challenged participants. On the dike path, lots of Savannah Sparrows caught our attention. Barn Swallows were hawking insects over the mud and a few Tree Swallows were hanging around some of our DNS Nest Boxes, as were the invasive House Sparrows. The colourful Sweet Peas were in full bloom, but the parasitic Dodder seemed more interesting to our group. A Killdeer was also foraging in the mud. At the PumpHouse, more baby ducklings pleased Emma, while Scope Bearer Chris McV focused on a Long-billed Dowitcher from the Lookout. A lonely Gadwall was in the slough. On the inland trail back to CH, we saw both Rufous and Anna’s Hummingbirds flitting around, but not posing as we normally like. Some saw American Goldfinches, Black-capped Chickadees and White-crowned Sparrows. Anne pointed out a small flock of Black Swifts flying overhead under the clouds, a normal occurrence here in June. We got back to CH, surprisingly right on time at 11:30 a.m. The Delta Nats Ladies welcomed us with smiles and their array of scrumptious home-made delectables. Eleanor’s double chocolate cookies, Elizabeth’s Ginger cookies, Jennifer’s Scones, and Sandra’s Egg Salad Sandwiches were wolfed down in the usual fashion by the starving mob. I think everyone, including the Newbies, had a very enjoyable BOTB outing. Next Wednesday, June 15, we will leave Petra’s at 7:30 a.m. for an “away outing” to Pitt Lake. I expect to meet at the regular Rannie Road Park entrance parking lot around 8:30 a.m. Check out our website for earlier reports (e.g. 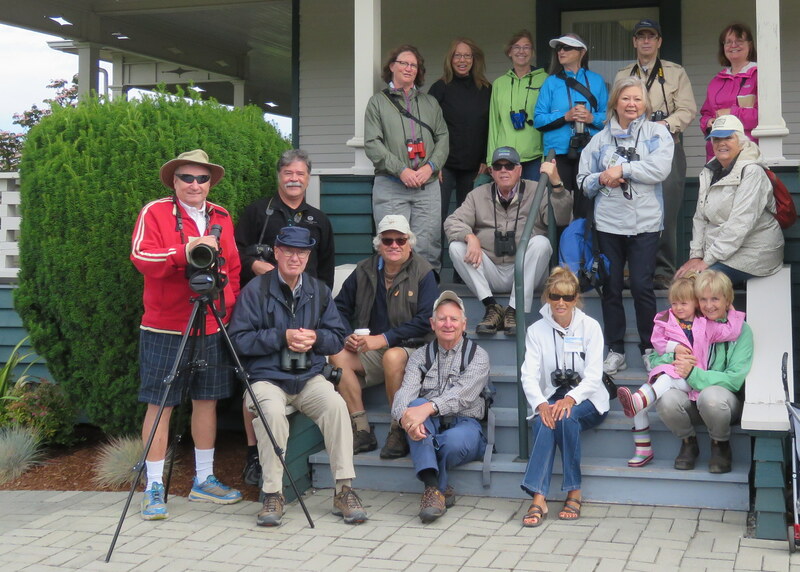 Al Schulze on Surrey Bend Park outing last Wednesday), photos, and more info on DNCB Outing Destinations. If you haven’t registered for our Annual DNS Garden Party on Thursday June 16 at Cammidge House, please do so ASAP by contacting Elizabeth Perrin. 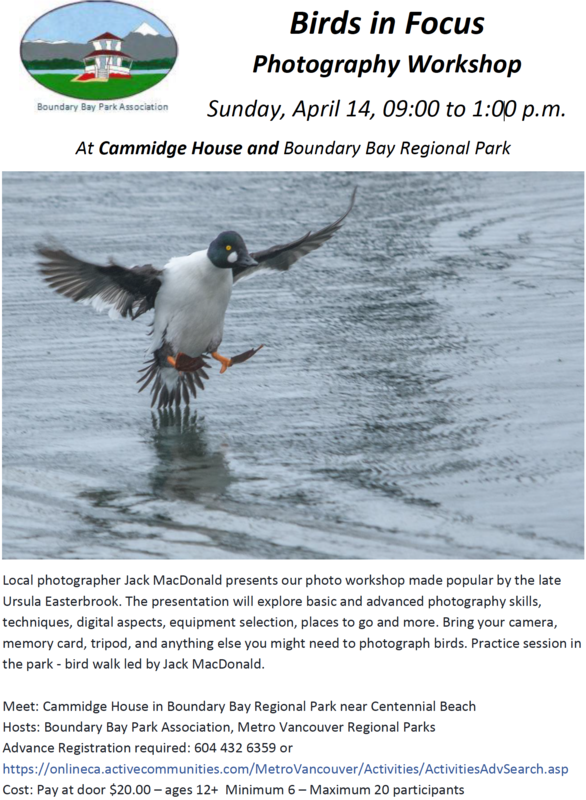 This entry was posted in *DNCB, Bald Eagle, BBRP, Birds-on-the-Bay, Black Swift, Cammidge House, Centennial Beach, Long-billed Dowitcher, Northern Harrier. Bookmark the permalink.